An unidentified North British built SAR Class 25 Condenser 4-8-4 enters the wayside station at Britsville, south of De Aar, on the line across the Great Karoo desert to Beaufort West with a northbound freight train. 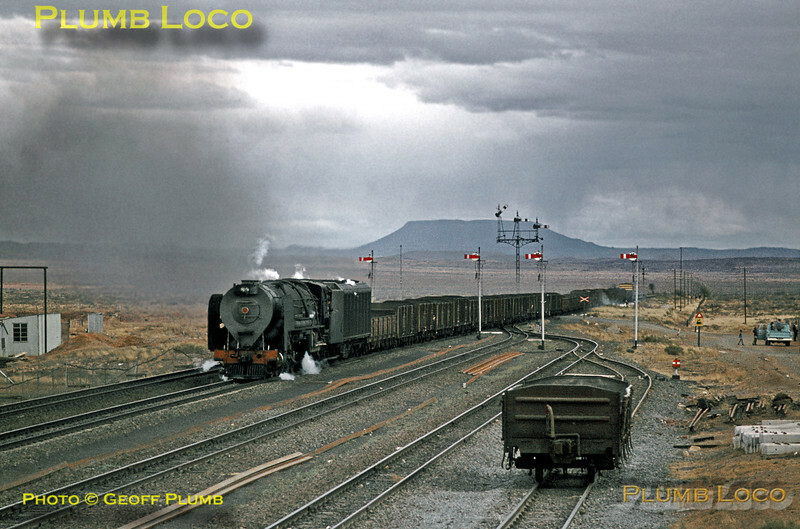 The condensing locos were required because of the very dry terrain, but it looks as if the heavens are about to open! Saturday 2nd September 1972. Slide No. 9820.